Self-storage facilities are often thought of as a place to store home belongings between moves or while finding a place to live. It is seen as short term, interim storage. However, at Vines Storage in Redlands, California, we offer an extra-large storage facility that allows individuals to store everything from classic cars to RVs and boats. While we do offer outdoor storage, we also offer indoor storage for those who focus on California boat care. Individuals who want the best for their boat may strongly consider indoor boat storage. Many invest a lot of money into their boats for regular use for years to come. By considering indoor boat storage, Redlands residents are making a smart decision to maintain value of their investment. 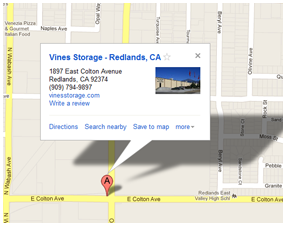 Finding a self-storage facility that offers the value you need is easy with Vines Storage. We offer a number of amenities that benefit those who are storing large items such as boats and RVs. With ice and water available, we make it easy to prepare for a weekend on your boat. Those who lease a storage unit from us also have the option to pay a little extra to have us wash and clean their boats. This is a great way to protect your boat and keep it looking great too! Keeping your boat stored at an indoor self-storage facility is much safer than leaving your boat in your driveway or parked on your neighborhood streets. With locked storage and security cameras, boat owners can rest easy knowing that their investment is protected. Protecting their investment from the elements is also a great way to maintain their RV or boat for many years of use. The sun can cause paint to fade, and hailstorms can damage the interior and exterior of a boat. Proper storage is the key to maintaining the value of the boat or vehicle stored. Vines Storage is committed to providing an excellent self-storage experience. Call us today to learn more about our large, secure facilities and the options available for you when it comes to long term and short-term self-storage of your personal or business items.